Training sessions by Wireless Ghana. Photo provided by Emmanuel Vitus Agbenonwossi and used with permission. This country report was written by Emmanuel Vitus Agbenonwossi who conducted the research on behalf of the Afrotribune organization. Please visit the GISWatch website for the full report which is also available under a CC BY 4.0 license. The internet has become an effective tool for communication at different levels in the life of Ghanaians since its introduction in the country in the late 1990s. Ghana is considered one of the more stable countries in West Africa since its transition to multi-party democracy in 1992, and consistently ranks among the top countries in Africa when it comes to freedom of speech and press freedom. Although Ghana was among the first countries in sub-Saharan Africa to have internet access, the penetration rate remains worryingly low. As of December 2017, only about 10 million people, or roughly 35% of its population of about 29.6 million, used the internet. 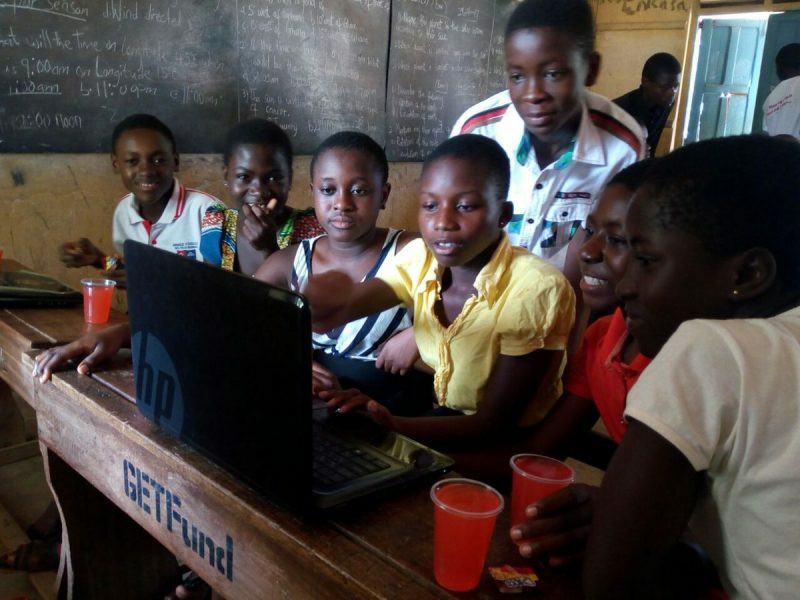 While still a “young” technology, the internet has had an impact on the life of Ghanaians, with many of them trying to challenge the digital divide by connecting the unconnected in their communities. This report discusses one such attempt: Wireless Ghana. Ghana’s telecom sector was one of the first on the continent to be liberalised and deregulated, allowing universities and communities to build their own networks. The privatisation of Ghana Telecom in 1996 was the catalyst for an extraordinary growth in market competition across the mobile, internet and fixed-line sectors. The reforms yielded mixed results. Landline telephone penetration increased dramatically (78,900 to 130,000 as of December 1997), while the number of mobile subscribers surpassed even this higher level of fixed-line subscribers. In Ghana, the National Communications Authority (NCA) is the government agency responsible for licensing and authorisation for the operation of communication systems and services. It was established by the National Communications Authority Act, 1996 (Act 524). The NCA assigns, allocates and regulates the use of frequencies and develops strategies for the communications industry in the country. The NCA is responsible for managing civilian access to radio spectrum. Licensed spectrum in Ghana includes licensed “exclusive” spectrum (traditional analogue TV, mobile cellular) and licensed “shared” spectrum (LTE/LTE A, 2.3 GHz and 3.5 GHz Bands), while unlicensed spectrum includes “unlicensed exclusive” spectrum (the extremely successful Wi-Fi bands of 2.4 GHz and 5.8 GHz) and “unlicensed shared” spectrum (TV white space coexisting with licensed TV). Currently there is no legislation or policy governing community networks. Most of the community networks operate using free 2.4 GHz and 5 GHz wireless frequencies. One of the most interesting chapters in internet development in the country has been the founding of Wireless Ghana, formerly known as the Akwapim Community Wireless Network. The name Akwapim Community Wireless Network was changed to Wireless Ghana after the pioneers of the project decided to expand to other regions of the country. Today Wireless Ghana provides a large number of professional services in the fields of wireless technologies, software solutions and IT support in different communities in Ghana. Wireless Ghana is a non-profit project implemented by Community-Based Libraries and Information Technology (CBLit), a non-governmental organisation based in an isolated community in the mountainous eastern region of the gold-rich nation. This Akwapim North District has 17 towns and several villages with a total population of about two million people. Testing of the internet on the street after installation. hoto provided by Emmanuel Vitus Agbenonwossi and used with permission. The Wireless Ghana project was started in 2005 at the Apirede Resource Centre (CBLit’s first community resource centre) in Akwapim in response to the local community’s requests for internet connectivity to help them break their isolation and also connect their children to the digital revolution. The project and its resource centre have become the game changer with respect to accessing information and triumphing over distance and time. It cuts down barriers with the click of a mouse, helping schools, teachers, churches, farmers and youth groups in the community communicate with the rest of the world. The network was developed and is managed and maintained by the community members themselves with the help of volunteers from the United States Peace Corps programme. The management committee together with the chief and elders of the community monitor the daily operations of the network to help create a professional environment, and ensure that services are of quality and delivered on time. They also manage the accounts and bills from internet service providers (ISPs). The network currently has over 20 nodes, and spreads out over a 10 to 15 km range, offering connectivity to Koforidua Technical University, secondary schools, churches, non-profit organisations, businesses and community activity centres throughout six towns in the mountainous region. Since its introduction in the community 13 years ago, the initiative has also built local digital libraries which have become hubs for free and open access to information and documentation for students and teachers. The community libraries are equipped with computers with internet access and allow students to browse and do their research. The volunteers of Wireless Ghana also help train the students on computer literacy, internet use and coding. In 2014 the initiative was extended to other regions. Wireless Ghana has helped established a wireless network at the University of Cape Coast in the western region. The project is called Campus Wi-Fi Project, helping students and lecturers to share resources and data among themselves. Another network was launched at Sakumono in the Tema Metropolitan District, a district in the Greater Accra region of Ghana. Wireless Ghana does not operate as an ISP. The organisation only builds and maintains the infrastructure for the communities. The internet services are managed by the communities themselves, contracting with normal ISPs. There is fibre and VSAT in the communities where the community network operates. Testing of the local antenna after construction. Photo provided by Emmanuel Vitus Agbenonwossi and used with permission. According to the chief technology officer, Wireless Ghana is an open-architecture mesh network that uses low-cost Wi-Fi hardware and open-source software, with most installations being point-to-multipoint networks with routers constructed from old computers and new wireless cards. Most of the nodes were made from Dell OptiPlex units, D-Link DWL-G520 Wi-Fi cards and Cisco Meraki routers. However, with the rapid growth of the project, the founders have changed technologies to be able to cover long distances, and today, most of the equipment has been purchased from the US supplier Ubiquiti. This includes the NanoStation NSM2 (2.4GHz), Bullet M2 and PicoStation M2. The nodes on the Akwapim network are connected to the rest of the internet via a shared 128/32 kbps VSAT connection. The initial phase of the project involved grassroots engagement with the community, together with Peace Corps Ghana volunteers. Funding and skills and technical support were also received from the Champaign-Urbana Community Wireless Network (CUWiN), Ghana Educational Services, the Akwapim North District Council, TakingITGlobal, and the Student World Assembly, among other partners. The initial funding was between USD 10,000 and USD 15,000. The cost of a typical node installation for individuals and institutions in the community is about USD 500. 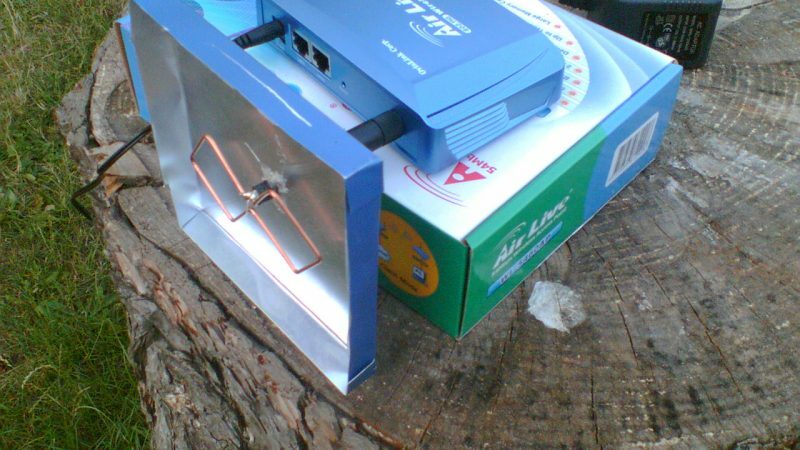 This covers all of the equipment and installation expenses necessary to mount an antenna on a rooftop, run cables indoors, set up an indoor router and connect personal computers to the router. Nodes are guaranteed to be installed within two weeks, depending on the availability of equipment that must be imported. 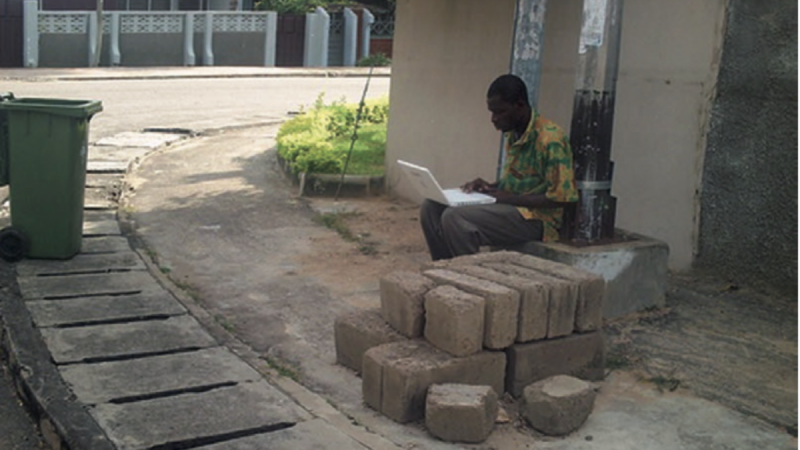 Before the installation of a node, the Wireless Ghana team writes a contract for potential node users that allows them to obtain access to the network. The start-up contract informs the node user of the cost of the equipment, the timeline for installation, and the cost of internet services on the network. The nodes are built and installed by the volunteers working on Wireless Ghana. Following the installation, the beneficiaries (communities or universities) are trained on how to use and maintain the nodes. The training is usually conducted by the volunteers. Community members who use the network pay fees every month to the volunteers to enable the sustainability of the network and also to pay the ISP bills for internet access. The two universities that have been connected to Wireless Ghana self-manage the equipment and internet bills. Other challenges faced by Wireless Ghana are radio-frequency interference and lack of electricity in some of the villages. Wi-Fi devices and non-Wi-Fi devices that occupy the same shared radio frequency spectrum usually cause interference on the network, and sometimes there are electricity blackouts. The electricity grid in the region reaches only 60% of homes. This means about 40% of households lack access to any means of conventional power. Even in the areas where the national grid is present, the quality of the service is an issue due to incessant power outages, sometimes for a considerable length of time. To solve the power problem, the Wireless Ghana team sometimes builds alternative power supply systems with recycled car batteries and other locally available equipment. In one case, for example, a broken uninterruptible power supply (UPS) was rebuilt with car batteries. This was innovative because the team took broken computer parts and turned them into a device that is capable of powering a wireless network node for up to 24 hours during a power outage. 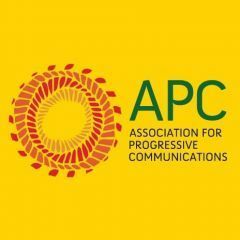 It is, however, important to note that it is difficult to provide internet access and other communication services to areas not connected to the electrical grid, and this constitutes a major challenge for Wireless Ghana. This is a significant limitation to the development and spread of community networks in rural Ghana. For more information regarding action steps for Ghana, please visit the full report on the GISWatch website.